Download a PDF of the below information or a PDF of the above infographic. Farm to Early Care initiatives connect young children with healthy, locally-grown foods and support farmers in their communities. 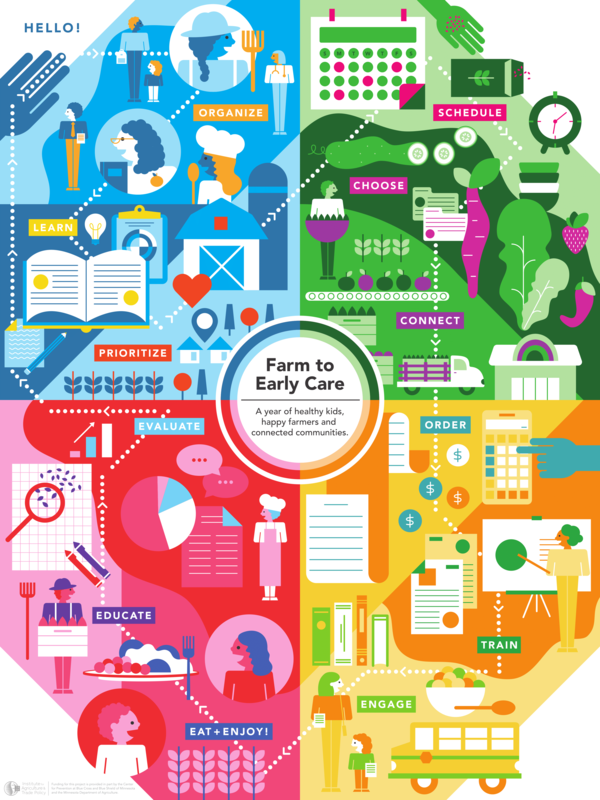 Let’s get started with Farm to Early Care! Schedule regular Leadership Team check-in calls or meetings (inviting other partners as necessary) to maintain progress. Bring Leadership Team together for a kickoff planning meeting. Introduce Leadership Team to what Farm to Early Care is and how it benefits kids, farmers and the community. 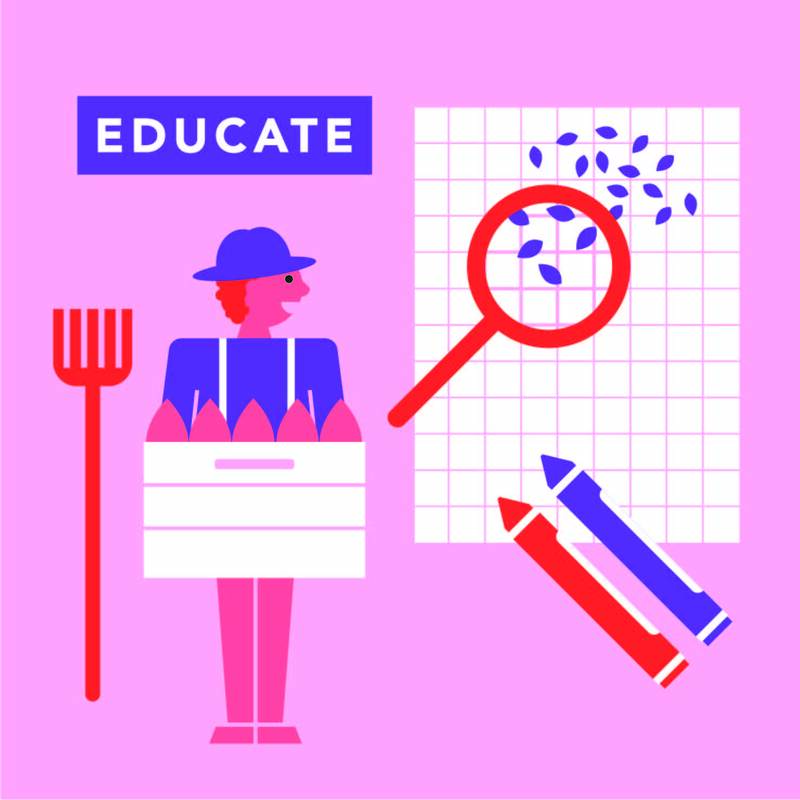 Explore Farm to Early Care activities, explain each person’s role and secure buy-in among key administrators, teaching staff, food service staff and other partners. Teaching children healthy eating habits and building healthy taste preferences. Supporting the economic livelihood of farmers in the community. Enhancing the food quality of meals and snacks through increased use of fresh, locally-grown foods in healthy, culturally-responsive preparations. Increasing family engagement through community meals, cultural food connections, nutrition education and field trips to local farms. Deepening relationships and connections among families, staff, farmers and community members. 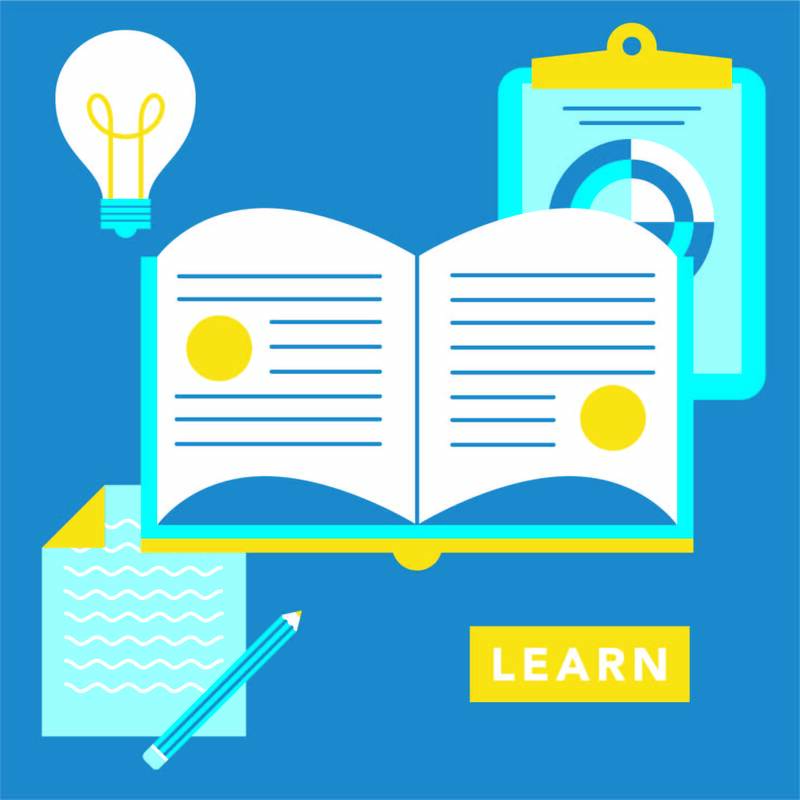 Consider how to incorporate culturally relevant foods, recipes, educational classroom activities and family engagement ideas that reflect your community’s background. Think together about how to make the Farm to Early Care initiative sustainable by identifying what partners need for long-term success. 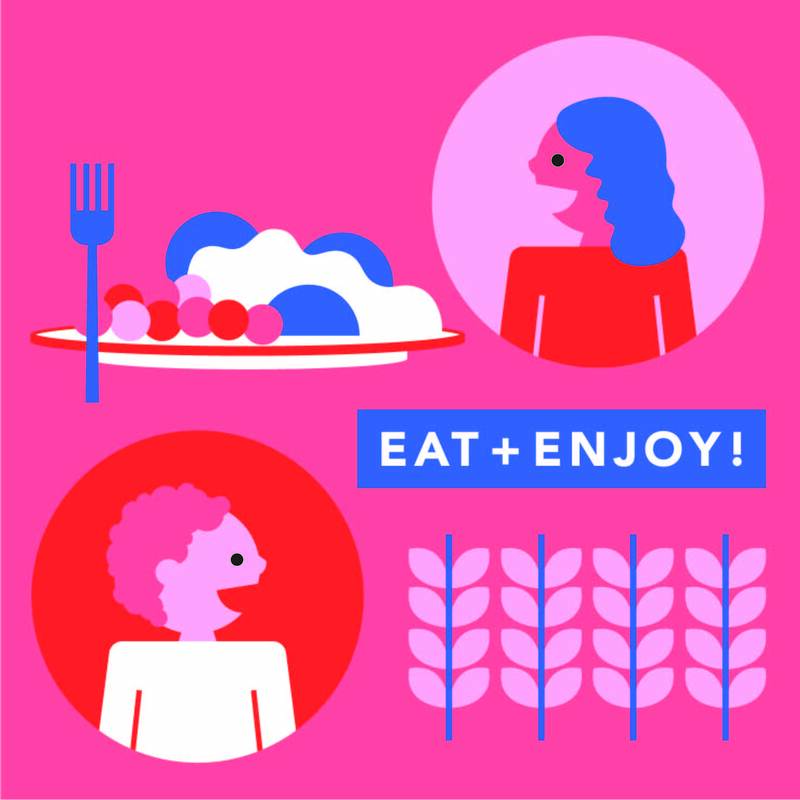 Decide which local foods you want to highlight during the year, focusing on local, seasonally available, culturally-relevant foods. Plan recipes to use with highlighted local foods, modifying existing recipes and identifying or developing new recipes when necessary. Choose recipes that meet your meal pattern and nutrition requirements. Showcase the locally grown foods in simple, healthy, culturally-relevant preparations while maintaining manageability for cooking staff. Serve each highlighted food multiple times in different preparations to give kids a chance to experience different flavors of the same food item! Try serving each highlighted food twice a week for two weeks to start. 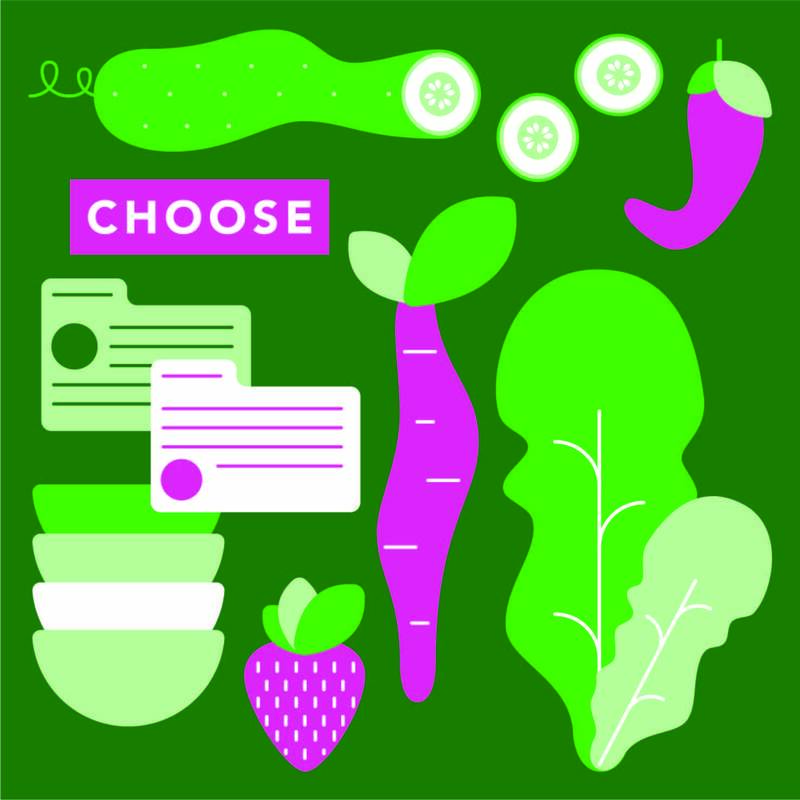 Connect with local farmers who produce your highlighted foods! 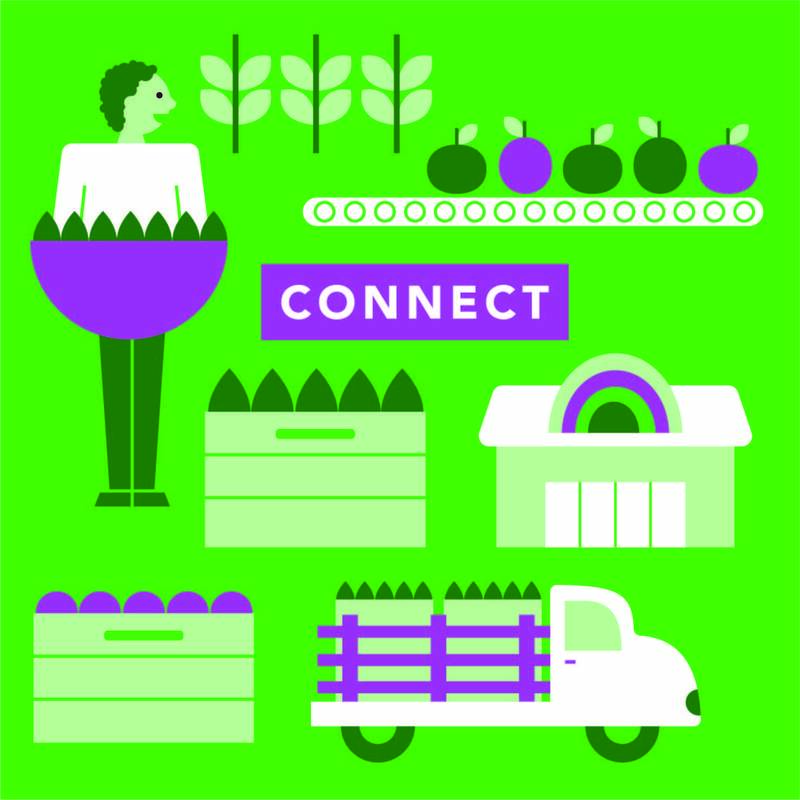 You may connect with them directly or work through a food hub, farmers market, your Department of Agriculture, distributor or other intermediary. You may want to prioritize disadvantaged farmers who will be the most positively impacted by being able to sell to your program. 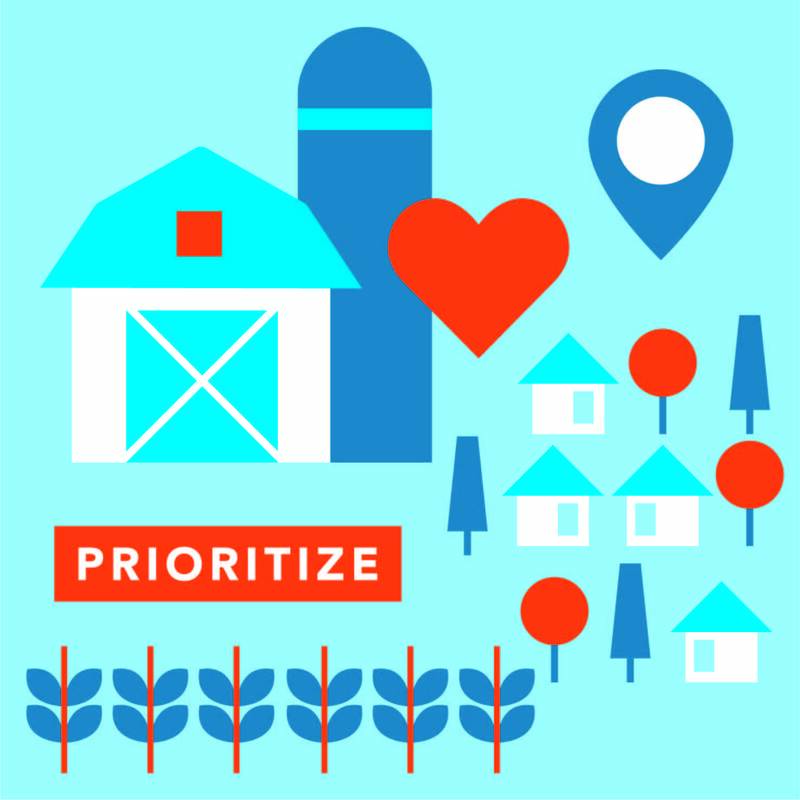 Work with farmers (connecting to food hubs, distributors and processors as necessary) to plan how food will be delivered to and from the farm to Early Care centers. 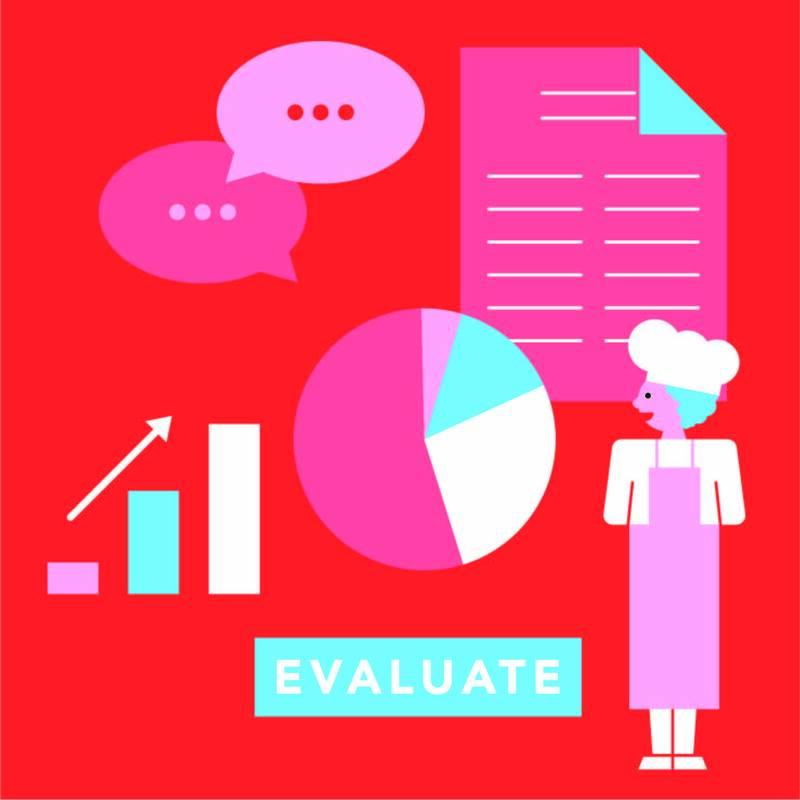 Consider your existing food service operation, and capability/needs of kitchen (for example, are you able to process and prepare food on site, or do you need foods pre-washed and chopped?). To the extent possible, integrate the delivery and preparation logistics of the local foods into your already established routines. 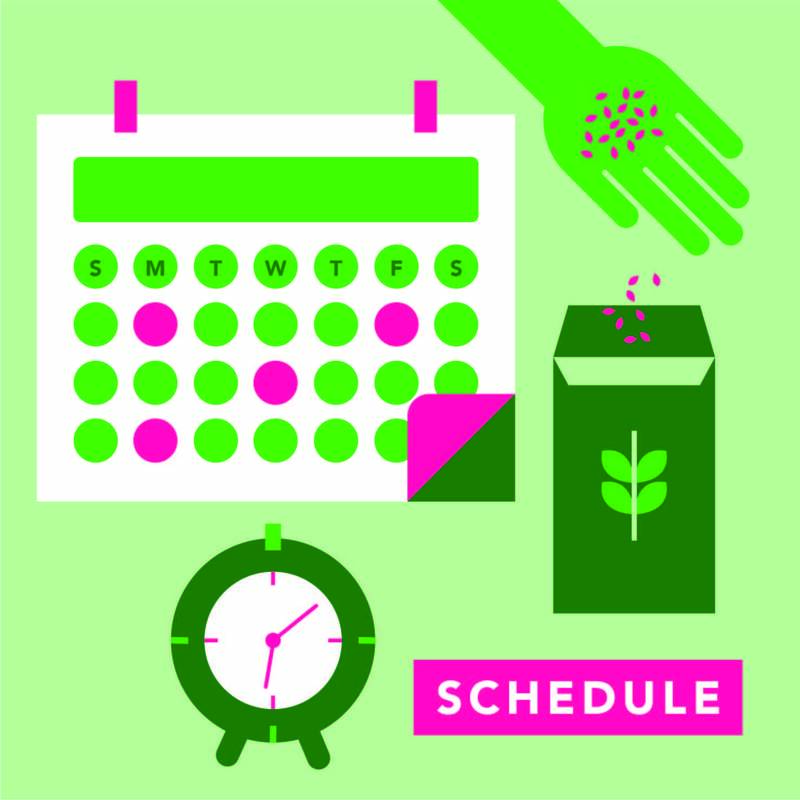 Make a back up plan of what to do in case of crop failure or unavailability of one of your highlighted foods (for example: substitute with a different locally-grown food or switch weeks with a food you had already planned to highlight). 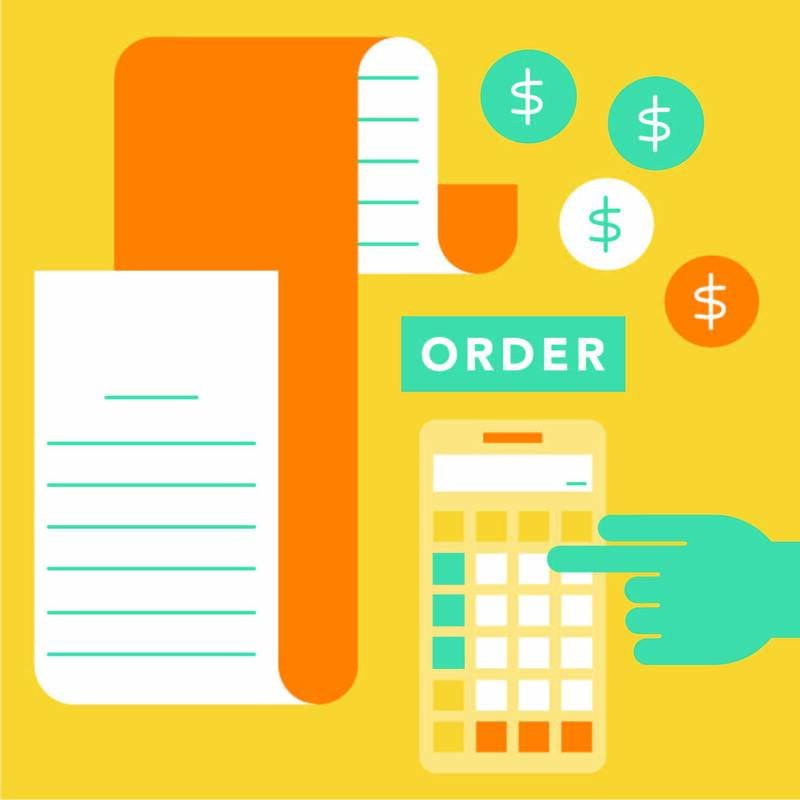 Finalize foods to be highlighted, confirm order quantities and delivery dates with farmers (and processors or distributors), and set up ordering, billing and delivery logistics. Be sure to establish how to stay in communication throughout the season, especially about unexpected plan changes due to crop failure. Develop support among participating teaching, food service and administrative staff, focusing on defining each person’s role in ensuring Farm to Early Care success. Share highlighted local food schedule and train education staff on Farm to Early Care curriculum and classroom activities. Plan for education staff to do two activities a week related to the highlighted local foods during the same weeks they will be served in meals and snacks. For example, if carrots are the highlighted food, teachers can read The Carrot Seed by Ruth Krauss on Monday and have children paint pictures of carrots growing underground while talking about parts of plants on Tuesday. Then roasted carrots can be served in Wednesday’s meal and a stir fry with carrots can be served in Thursday’s meal. 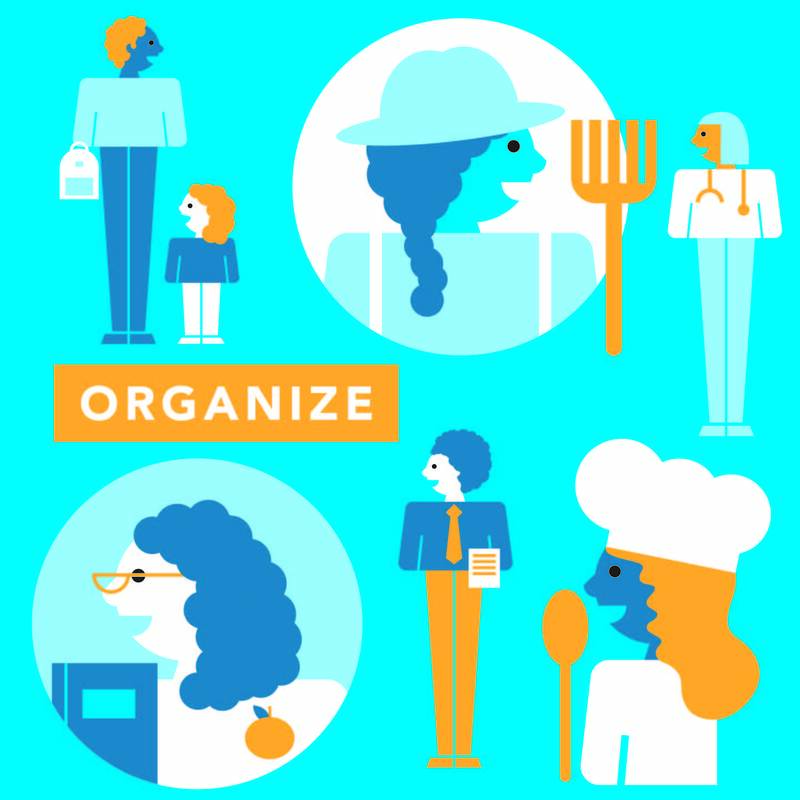 Share highlighted local food schedule and planned recipes with kitchen staff and provide training on preparing fresh ingredients if necessary. Plan and hold Farm to Early Care family engagement events (e.g. community meals, field trips with their children, cooking classes, presentations on healthy eating, etc.). 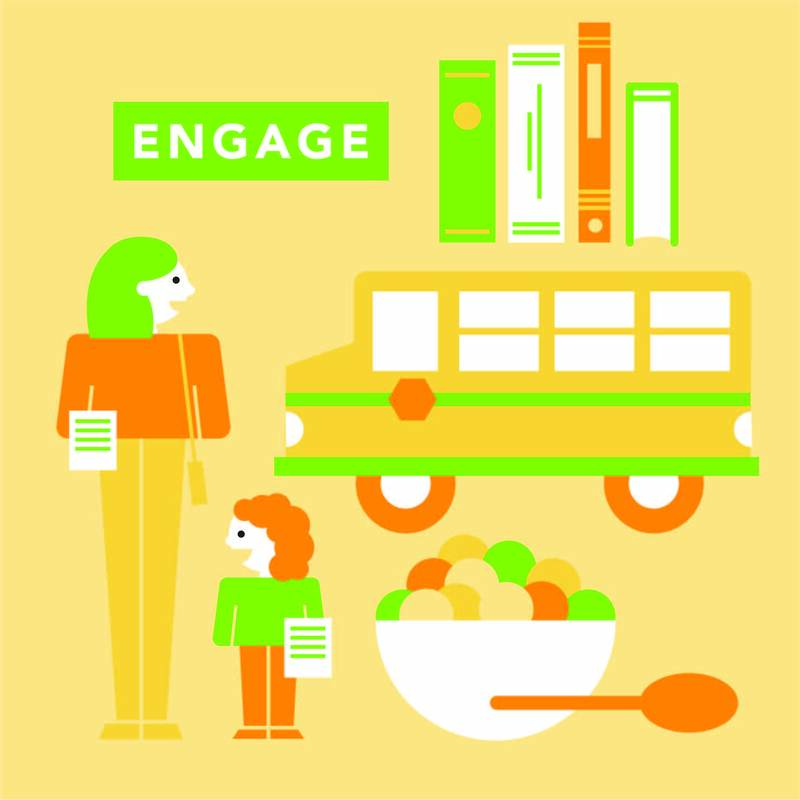 Conduct further family engagement in the form of wall displays, newsletter blurbs, social media posts, blurbs and an icon indicating local foods in monthly lunch calendars and other methods already used by your Early Care setting. Following the highlighted food schedule and recipe plan you developed, farmers harvest and deliver highlighted foods and kitchen staff cook and serve them in children’s meals and snacks twice a week! Teachers lead children in educational farm and food-related activities in the classroom twice a week, corresponding with each week’s highlighted local food. Plan nutrition activities to let children try cooking and tasting highlighted foods in the classroom, if possible. Identify potential strategies for improvement, and work together to plan for the next year. Start back at the beginning for another great year of Farm to Early Care! Download the PDF of this information. 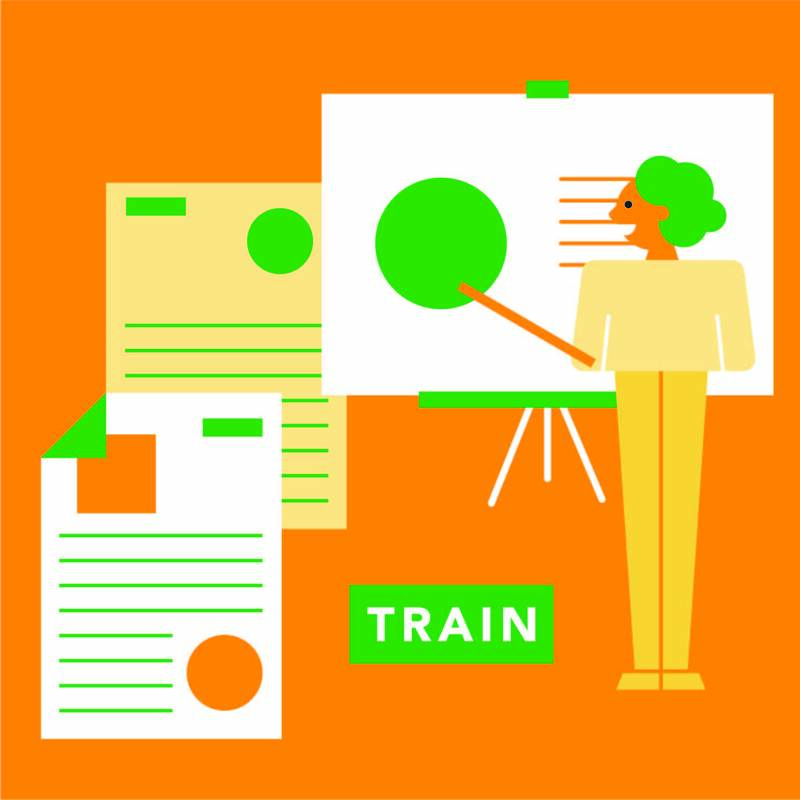 Download the full infographic as a PDF, created by Minneapolis-based illustrator and graphic designer Anne Ulku.